Olca-Paruma volcano is a group of 3 stratovolcanoes forming a 15-km-long E-W ridge along the northern Chile border with Bolivia. There are 3 stratovolcanoes in the complex: Volcán Olca, Cerro Michincha, and Volcán Paruma. The only known historical activity from the Olca-Paruma complex was a flank eruption between 1865 and 1867 from an excentric flank vent. 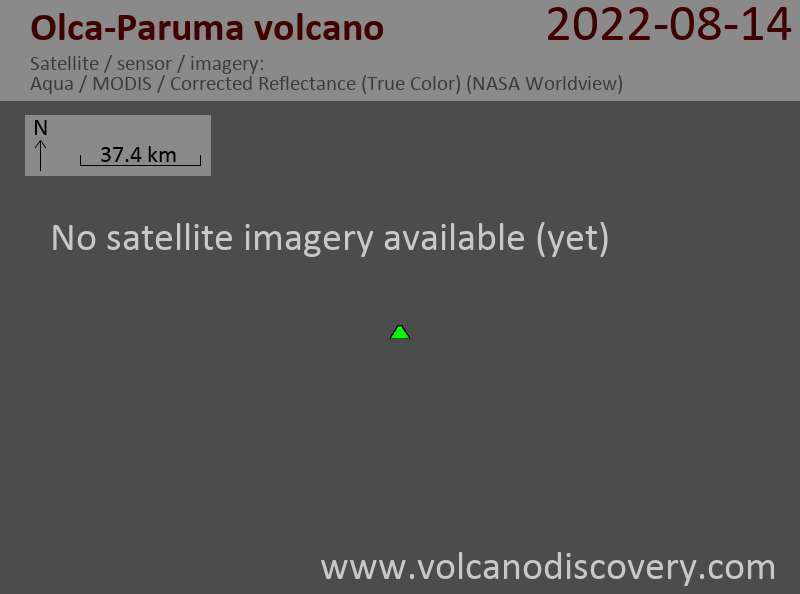 Since around 1990, volcán Paruma has displayed persistent fumarolic activity.